Before I start this article, let me first assert that like all Rangers fans, I know there is a long way to go before we catch Celtic. Their squad was assembled at far higher sums than ours, and this Rangers is merely fledgling under Pedro Caixinha. Furthermore, there is a very high chance the gulf between the two will be exposed again when Rodgers’ under 12’s visit Ibrox later this month. However, that all said, there is just a little simmering sense of something right now. 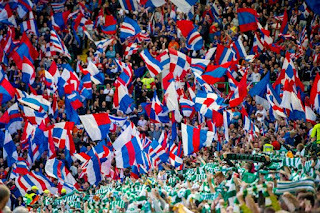 From Celtic dropping points at Parkhead inside four matches to St Johnstone following going nearly the entire season last term before succumbing to Ross County, to last night’s absolute mollication by PSG, there is just a sense that while a sea of change has not quite opened up yet for Rangers or anyone else, Celtic seem more vulnerable than they have at any time. It is worth pointing out under Rodgers Celtic still have not won a single Champions League group match, and last night were destroyed on their own patch, a former UCL fortress, by a team who are not as good as the incredible Barcelona Celtic once managed to beat there in 2012. And a few comments on Ibrox Noise do see an opportunity here. Their defence, if teams really go for them, is there for the taking. And under this manager, just like his predecessor, they have gone so far backwards in Europe it is borderline laughable. They are also not clear in the SPL table by any stretch. Of course, it is a problem Rangers would love to have, but wait, what is this? A supporter coming on the pitch, trying to assault PSG’s Kylian Mbappe? Rangers fans have been no angels throughout the ages, but I am really struggling to remember a time when a Rangers fan actually pitch invaded with the sole purpose of trying to put an opposition player in hospital. And, as we will remember the surreal ‘slash’ incident from 2007 when some other ‘fan’ ran on the Parkhead pitch and went for Milan goalkeeper Dida. The point? 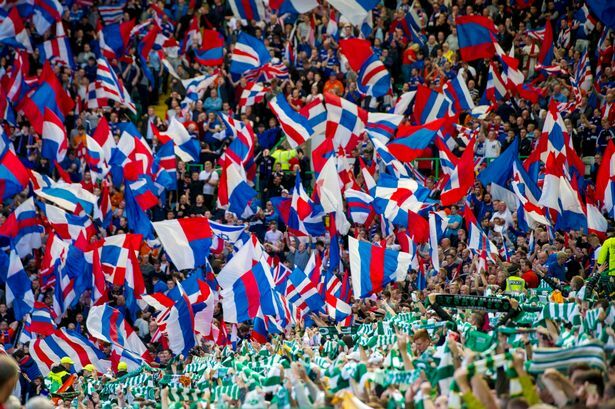 There really is just a little sense of all not being well at Parkhead – Rangers will not be as weak as we are forever, while Celtic’s true colours frequently come out more and more as things go against them. And more things are going against them than have for quite some time. And if Pedro can nail the tactics and the players give everything they have and more, there might even be an opportunity to spring a bit of a surprise later this month. St Johnstone are high-flying but they went to Parkhead and got a point. Rangers are the hosts this time and their guests appear not quite at full fettle. We should take advantage of this. After a 5 year free ride in the top league, last nights display was all they had to show for it? They'll be worried all right. I'm confident the drought is almost at an end. I think the truth lies between what you say and the views of Celtic's more optimistic fans, many of whom thought Celtic would actually win last night! But it's simplistic to focus on not winning a Group Stage match since whenever. Fact is last season saw two draws against Man City and an away draw against Borussia MG, a game in which McGregor missed an absolute sitter at the very end. But yes, Celtic - and the vast majority of European clubs - simply cannot compete against teams who spend a half a billion signing the best players in the world. The situation is broadly similar to that applying in Scotland but in this instance Celtic being the financial giants. Rangers need to sort out a whole range of commercial, legal and taxation issues before they'll be able to challenge Celtic for the League title which imo is a forgone conclusion already. However on the day there are a few teams capable of beating them so another domestic treble or unbeaten run is unlikely. There a lot of talk about Dermot Desmond but the fact is Celtic is a publicly quoted plc subject to rigorous disclosure requirements. Nobody, not even DD, can simply scoot off with the loot. Having said that there's not much to see for the tens of millions that came in over the last few years. Hugh, let's just concentrate on the football and leave all the rest of that shite you are spouting out of it. May the best TEAM win - as long as it's us! The SFA..SPFL and all the teams that kicked Rangers down to the 3rd Division are now reaping what they sowed ...No real opposition to the Rotten Mob at all ...because of no Rangers ...How do they expect to play at that level when they have had no competitive mathces for 5 years @@@@! Its a disgrace ..They are not even that good at our level either ...Thats the outcome ...Scottish Football is the lowest ever as they continue to go after US !!!! Honestly I don't listen to one word Liewell says Just ignore him same with thick Sutton. Don't give them the time of day. How long have we all been Rangers men ffs,if it wasn't that it would just be something else.